Success trends for Republic Act 9262 or the Anti-Violence Against Women and their Children (VAWC) cases may not be measured only in terms of conviction, but rather how a woman gets empowered with the knowledge that she is protected of her rights under the laws of RA 9262, says Prosecutor May Flor Duka of the Dumaguete City Prosecutor’s office. Duka revealed during the recent Kapihan sa PIA forum in observance of Women’s Month celebration that women even in the hinterlands are now aware and knowledgeable of their rights under RA 9262. Duka as a Prosecutor handling VAWC cases reiterated her stand and belief that success is gained from the moment a woman reports to VAWC desk officers for cases of abuse which the lady prosecutor considers a step towards envisioning RA 9262 slowly showing up with women in Dumaguete City. She commended their bravery and strength saying that when a VAWC case is dismissed it doesn’t follow that the case is already lost. “We have other laws to protect them such as barangay protection order and contempt or even if the accused is put behind bars for one day only, and the moment the woman or wife realizes that she can stand by herself without the husband or partner who is the abuser is already a success,”says Duka. “My other perspective of success is when both parties come up with a solution that is workable for both man and woman and if circumstances served as lessons learned or eye-opener which will eventually save the marriage, in the end, is another big success,” explained Duka. From her point of view, what they started (advocacy of VAWC laws) will go a long way, “there is hope for these women to make change work for them,” she said.. The City Social Welfare and Development Office (CSWDO) on their part through its officer-in-charge Rousanna Duran informed that on-going activities like self and social enhancement skills training, capacity building seminar, practical skills development (food processing) and livelihood assistance to 60 organized women groups are being held in the barangay level and at the city social welfare office. The other lady Prosecutor Lalaine Cimafranca thanked the women present during the forum saying that “the traditional way of interacting with them is they only listen to us, prosecutors but with a forum such as this, they do not only listen, they gave inputs and contributed a lot helping us to work together to achieve success,” said Cimafranca. Implementers of the “Fish Rights (FR)” Program in Negros Oriental impart FR advocacy to fisherfolks in Barangay Bonawon, Siaton town. The FR program is a joint undertaking between the Philippine Government and the U.S. Government through the US Agency for International Development (USAID) which aims to increase fish production and improve management of fisheries and coastal resources. The program is implemented in three sites namely, the Visayan Sea, Calamianes Group of Islands, and Negros Island. In Negros Island, the FR project tends to cover key marine biodiversity areas in Southern Negros particularly from Dumaguete City, Negros Oriental to Cauayan, Negros Occidental. 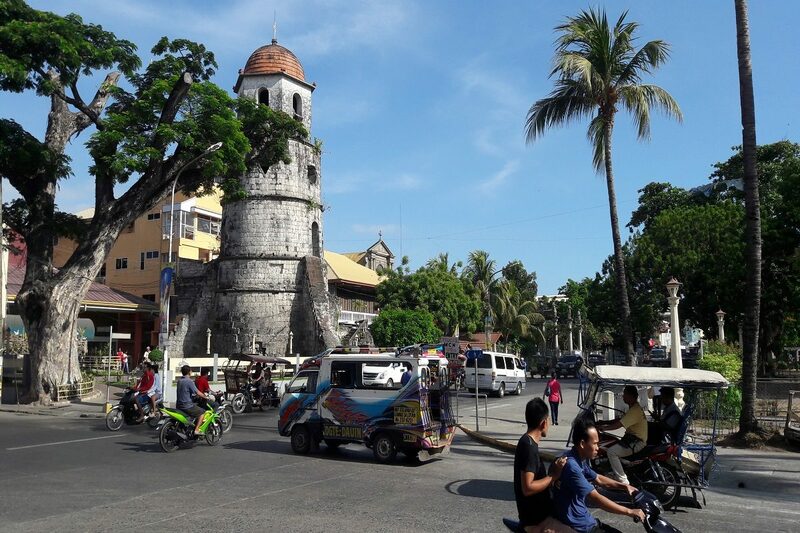 The municipality of Siaton is a located in the southern part of Negros Oriental and about 50km away from Dumaguete City. Agriculture is the main economic driver in this town and residents living in coastal areas are engaged in fishery. In a Kapihan sa PIA held in Barangay Bonawon recently, FR Principal Investigator Dr. Ben Malayang III told Bonawon fisherfolks that the FR Program advocates for the “right level of fishing” that will help fishermen and fish traders achieve sustainable profit in the long run. The FR program has three main initiatives: to attain the sufficient level of fish supplies for human consumption, to sustain the sufficient level of fish supply in local fishing grounds so that there’s no need to import fish and to promote sustainable fishing practices to maintain the sufficient level of fish supply in the sea. Dr. Malayang acknowledged there are challenges surrounding the local fishery sector, and the FR program seeks to involve community stakeholders in formulating solutions to address these concerns. “Hibalo ta na naa’y daghan illegal (Fishing) naa gitawag na unreported, unregulated na dili maong pangisda, na nakadaot sa oportunidad na mangisda sa uban sa mangingisda. Unsa man atong mahimo together so that walay madehado? (We are aware that there are still illegal fishing. These are the unreported, unregulated fishing that take away the opportunity of other fishermen to catch fish. What can we do to have a “win-win” situation),” Dr. Malayang said. “Kini na proyekto, mangita ta ug paagi nga ayuhon nato ang pangisda, mura ba i-review nato ang atong pamalaod, ang atong pamaagi sa pagregulate sa pangisda. Mangita ta ug solusyon gikan ninyo (Through this project, we will look for ways to improve our fishing practices. Perhaps we can review the rules and the ways we regulate fishing methods. We would like to hear solutions from your end),” Dr. Malayang added. One of the issues fisherfolks raised during the forum is the encroachment of commercial fishing vessels in municipal fishing grounds. On this, they called for a stronger enforcement of the law from government agencies. To this too, Bureau of Fisheries and Aquatic Resources (BFAR)-Negros Oriental Senior Aquaculturist Nathaniel Lucero cited that the protection, development, and conservation of municipal waters is devolved to the local government units. However, there is a directive from the BFAR regional office to deploy floating assets in each province in Central Visayas to prevent the entry of commercial fishing vessels in municipal fishing areas, Lucero shared. BFAR represents the Philippine government in this endeavor. “Naningkamot pod ang BFAR sa Fish Right project na mahimong sustenable ning pagpanagat sa mananagat diri sa southern Negros (BFAR commits to intensify its efforts to promote sustainable fishing in Southern Negros through the Fish Right Project),” BFAR Aquaculturist Felmar Pacurib remarked. “Makahimo pod ning polisiya sa mga umalabot na panahon na makahatag ug dakong income sa katawhan ug makahatag ug insaktong kinadaghanong isda sa atong lamesa ug sa atong merkado (This will create policies that could help generate higher income for people and ensure sufficient supply of fish for our markets and food tables in the future),” Pacurib added. The FR program was officially launched in Negros Oriental on Feb. 21, 2019 at Silliman University but FR implementers had a conference with the members of business leaders on the 1st week of February to orient them on this endeavor. Provincial Administrator Dr. Henry Sojor, who is also one of the speakers of the Kapihan, noted that 60% to 70% of the total population of people in Negros Oriental depend on fish as source of protein and food. Health officials here are appealing for cooperation from parents as the Department of Health (DOH) embarks on a house-to-house and school-based immunization campaign for children in Negros Oriental. In a Kapihan sa PIA forum, Provincial Health Officer Dr. Socrates Villamor said the move is DOH-7’s response to address the high number of measles cases in Central Visayas which is included in the list of regions where measles outbreak have been declared. Villamor said local chief executives in the province have been informed about the program while DOH-7 will coordinate with the Department of Education (DepEd-7) for the issuance of a joint memorandum for the conduct of the school-based immunization program in elementary schools. The house-to-house measles immunization program targets six to 59-months-old infants while the school-based immunization program will target grade 1 to grade 6 students. Villamor shared one benefit of allowing children to receive anti-measles vaccine. “We need to achieve 95 percent immunization coverage aron naa tay gitawag na ‘herd immunity.’ Ang katong mga tawo, mga bata na dili ma-immunize kay naa sila mga condition, kung naa tay ‘herd immunity,’ kana sila ma-cover na pod sila apil nato. Mao gyud nang among gi-target para naa tay coverage sa tanan. (We need to achieve 95 percent immunization coverage so we can attain what we call ‘herd immunity.’ If we have this, those individuals or children who can’t be immunized because of certain conditions, they will also be covered. This is what we are aiming for so all of us can be protected),” said Villamor. DOH defines herd immunity as a type of immunity that occurs when the vaccination of the portion of the population provides protection to unprotected individuals. Dumaguete City Health Officer Ma. Sarah Talla disclosed that based on their investigation on measles cases last year, they found out that the first few cases occurred among adults and this allegedly came from transients. Talla underscored that the best way to prevent the spread of measles infection is to have children take the anti-measles vaccines. “Karon nag-house-to-house na pod ang mga health worker para magpabakuna. Maghangyo kita sa mga ginikanan na kung moadto na ang mga health workers, pabakunahan gayud ang inyong mga anak. Ang pagbakuna is the best prevention na dili makakuha ug measles (Right now our health workers are visiting houses to give vaccines. We would like to appeal to the parents to allow their children take these vaccines when they visit their homes. Immunization is the best way to prevent measles),” Talla emphasized. Based on records of the City Health Office (CHO), there are four confirmed measles cases in the city in 2017, which rose to 30 in 2018. As of today, there are six suspected cases reported to DOH since January. Dr. Talla said they will verify this since they only have once case recorded. On the other hand, figures from DOH Provincial Office show that from the January until Feb. 16 this year, there are 65 reported cases of measles recorded in Negros Oriental with seven confirmed cases and no deaths. This is 364 percent higher compared to the same period last year which is at 14 cases with zero deaths recorded. Assistant Provincial Health Officer Liland Estacion noted that DOH launched a Supplemental Immunization Activity (SIA) in Negros Oriental during the last quarter of 2018 but it only covered around 57 percent of children aged zero to 59 months old in the province. In line with this, Estacion said Gov. Roel Degamo has directed her office to intensify their immunization program through the strategy identified by the DOH. “As of the moment we are releasing vaccines to all the RHUs,” Estacion said. The local officials assured that the vaccines provided by DOH are safe and called on the parents to take advantage on the free immunization program for kids.